1000BASE-LX/LH was standardized six years after the initial gigabit fibre versions as part of the Ethernet in the First Mile task group. It is very similar to 1000BASE-LX, but achieves longer distances up to 10 km over a pair of single-mode fibre due to higher quality optics. The 1000BASE-LX/LH SFP module, compatible with the IEEE 802.3z 1000BASE-LX standard, operates on standard single-mode fibre-optic link spans of up to 10 km and up to 550 m on any multimode fibres. Duplex LC/PC connector. Fiberstore 1000Base-LX/LH SFP module over single-mode fibre, which is a high performance and cost effective transceiver. It is designed to meet Gigabit Ethernet (1000Base) application. The transceiver consists two sections: the transmitter section consists of a high reliability 1310nm FP LD with monitor photo detector (MPD) in eye safety; the receiver section consists of a high-speed InGaAs PIN photodiode (PD) and trans-impedance preamplifier. The output of the PD drives the post-amplification, quantizing, and optical signal detection circuits. The receiver is built in the LOS monitoring function. For further information, please see SFP MSA and SFF-8472 standard. With plenty experience in interoperability with 3rd party standard based network equipment such as Cisco, HP, Juniper, Netgear, 3 Com, Alcatel-Lucent, D-LINK, Extreme, and HuaWei, Fiberstore’s fibre optic transceiver are able to fulfill enterprises, service providers, telecom operators and SAN providers to build and fulfill their existing and future network expansions. To save more money, We suggest that compatible 3rd transceiver modules may be another good choice however, you should make sure that your vendor is reliable. 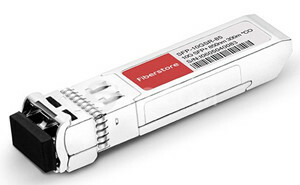 Fiberstore’s SFP transceivers are 100% compatible with major brands, they are backed by a lifetime warranty so that you can buy with confidence. Additionally, customize SFP transceivers to fit your specific requirements are available. 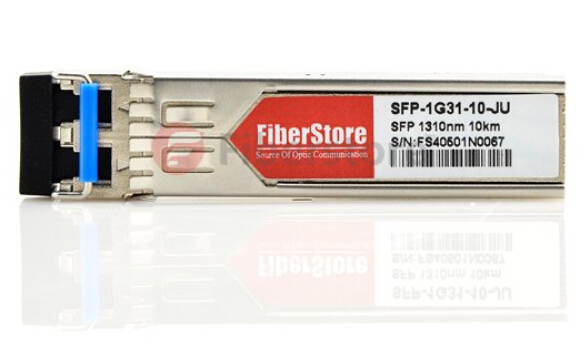 If you have any requirement of transceivers, Fiberstore will be a good choice for you. This entry was posted in Fiber Optic Transceivers, SFP Transceiver and tagged 1000BASE-LX/LH SFP, AGM732F, E1MG-LX-OM, EX-SFP-1GE-LX, Extreme 10052, FTLF1318P3BTL, GLC-LH-SM, GLC-LH-SMD, J4859C, JD119B, JX-SFP-1GE-LX on April 1, 2015 by Admin.